Dr. Gabriel M. Danovitch, medical director of the Kidney and Pancreas Transplant Program at the David Geffen School of Medicine at UCLA, has received the 2015 Sherman Mellinkoff Faculty Award. The award honors the ideal of the finest in doctor-patient relationships and medical education and is considered by the faculty to be the highest honor bestowed by the school. Danovitch is recognized as a consummate clinician and an exceptionally talented and beloved teacher and lecturer. Danovitch joined the UCLA faculty in 1979 as director of clinical nephrology. The UCLA Kidney and Pancreas Transplant Program which he directs is consistently ranked among the best in the country in terms of patient outcomes. Danovitch is also Distinguished Professor of Clinical Medicine and holds the John J. Kuiper Chair of Nephrology and Renal Transplantation. In addition to his clinical work at UCLA, Danovitch has been an effective advocate for public policy issues relating to organ transplantation in the U.S. and for kidney patients and human rights. He is a founding member and current co-chair of the Custodian Group of the Declaration of Istanbul on Organ Trafficking and Transplant Tourism, which clearly articulates opposition to unethical transplant practices around the world and strives to protect the principles of equity, justice and respect for human dignity. A highly accomplished clinician-investigator, Danovitch’s lengthy bibliography includes his textbook, “Handbook of Kidney Transplantation,” often referred to as the “transplant bible.” The book has been translated into multiple languages, and its last edition was a bestseller in its field with more than 20,000 copies sold. His service to professional societies, national and international committees, journal editorial boards and university committees is extensive. Born in Cardiff in the United Kingdom, Danovitch received his medical degree and completed internship training at St. Bartholomew’s Hospital, University of London. 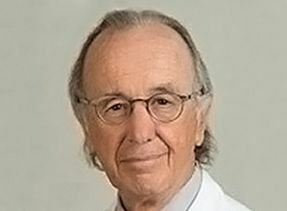 His residency training was conducted at Negev Central Hospital in Beer Sheva, Israel, in internal medicine and nephrology, followed by a fellowship in medicine in the Division of Nephrology at Albert Einstein College of Medicine, Bronx, New York, where he received his first faculty appointment Beginning in 1976, he spent three years as director of the Department of Nephrology and senior lecturer at Soroka Medical Center of Ben Gurion University in Beer Sheva, Israel.